Trains can come from either direction. After the first train has passed, a second one may be coming from the opposite direction. So, it’s important to not only wait until the intersection is completely clear, but also wait until the signals have stopped flashing and/or the arms have gone up before crossing the tracks. Pedestrians have died when they did not realize a second train was coming and they started walking across the tracks before the signals stopped. Drivers have died when they grew impatient with the gates being down after a train had passed and drove around them, into the path of a second train. Your life is too important to risk disobeying the signals. 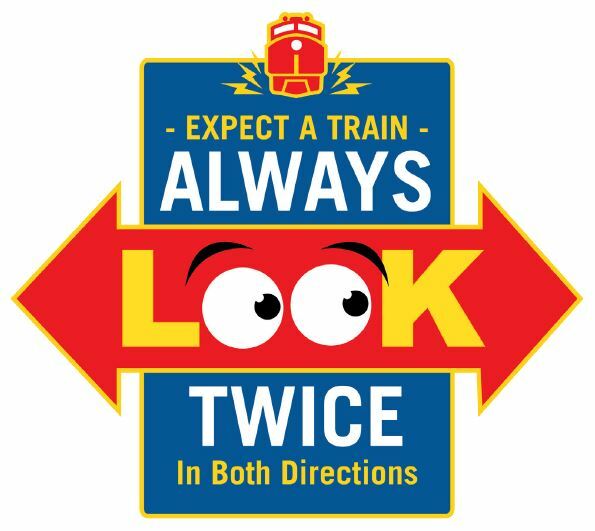 Take a few moments to look twice and always wait until the lights, signals and gates are completely clear before you cross the railroad tracks. While you may think you know the schedules of trains that run through your neighborhood, a train can travel on the tracks at any time. Passenger and freight trains can run early or late. Never stop on the railroad tracks for any reason. If you’re waiting in traffic at an intersection with train tracks, stay on your side of the tracks until you can proceed all the way across. If you’re not near a train crossing, it’s particularly important to be alert and cautious around the train tracks, since there are no warning signals. Don’t wear headphones when near the tracks. Stay at least 25 feet back from the tracks. Always go to designated intersection before crossing the tracks.